Roofdecks and decks are our expertise, since our owner has had a Philadelphia roof deck for over 20 years in Bella Vista and has installed numerous deck gardens. We understand the challenges and joys of a deck garden and customize our container and plant palettes so that the gardens can thrive and offer multi-season beauty, interest, fragrance, motion and edibles if desired. The challenges of deck gardens are the drying winds, the relentless sun, the need for irrigation and the cold (typically two zones colder). City Garden Guru has significant experience with the plants that can tolerate and thrive in these conditions and can also provide you with the irrigation systems that these decks require so that you do not have to do hours of watering every day. For a number of our clients we have had custom pergolas and screens manufactured that offer shade and peaceful and beautiful outdoor living spaces. These can be created in steel (in any color and style) or in stainless steel and that will provide flowering climbers with the support they need. 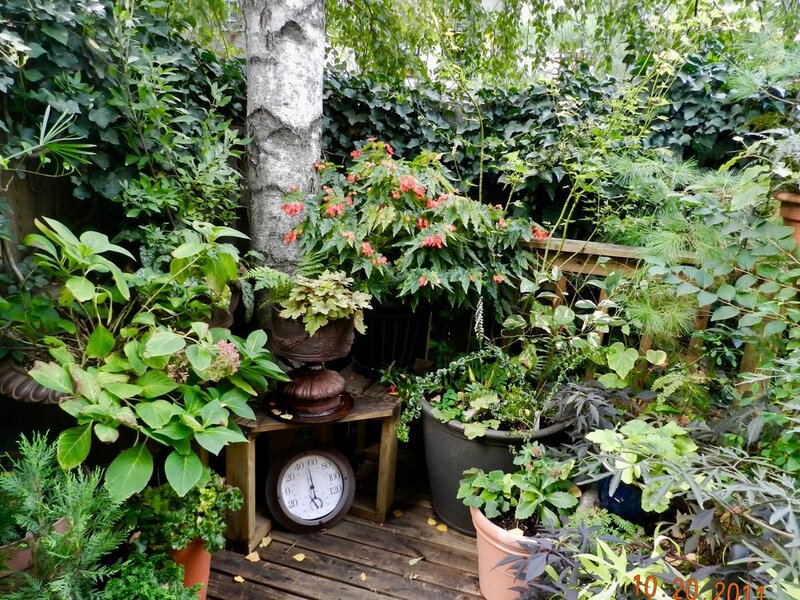 All sorts of grasses, trees, perennial flowers, edibles and climbers can be amazingly happy in these deck environments that will reward you every day.